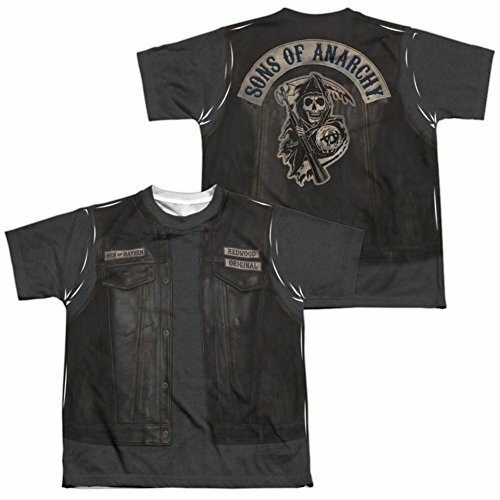 Are you looking for the perfect Sons Of Anarchy costumes? 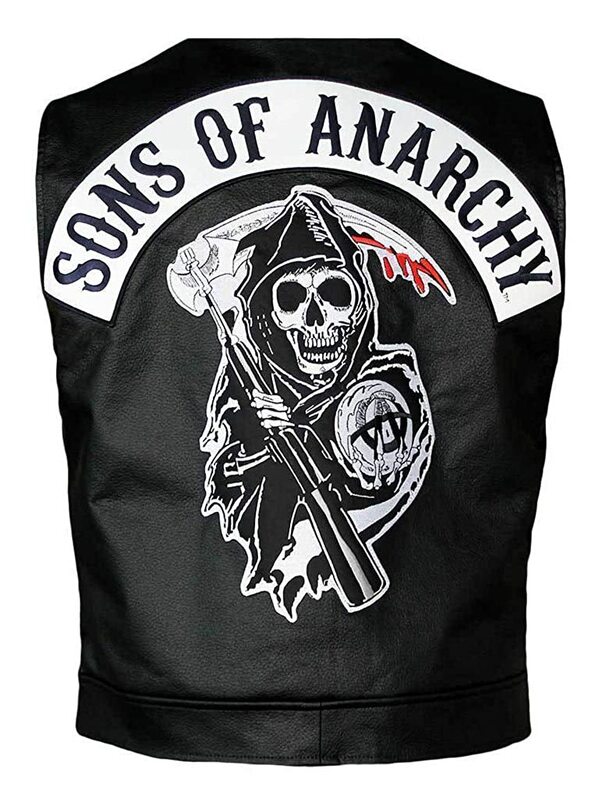 Do you want to get in the biker spirit for Halloween? 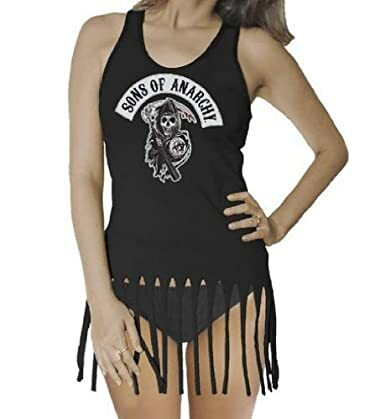 Here’s how to rock your Halloween or any costume event with cool Sons of Anarchy costumes for men, women and even the kids. 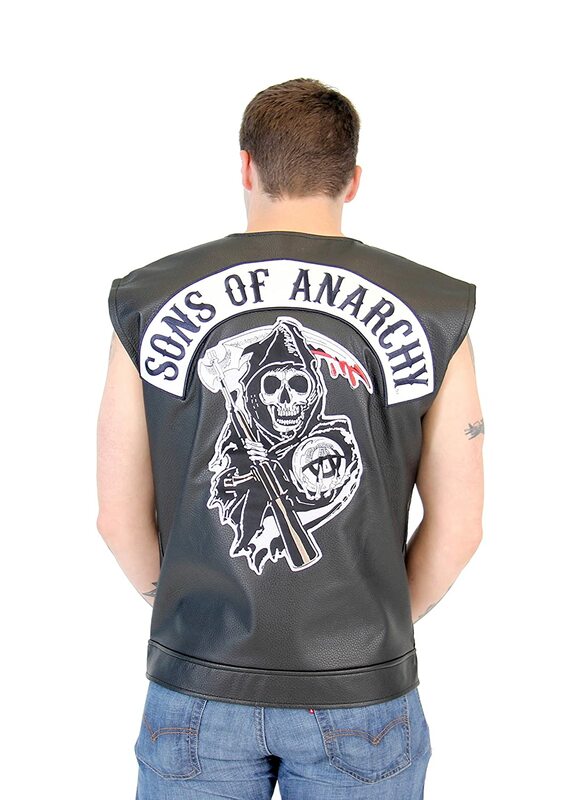 Creating the coolest SOA costumes for Halloween is a matter of having the right bikers jacket, Sons Of Anarchy sleeveless t-shirt or a great leather vest. 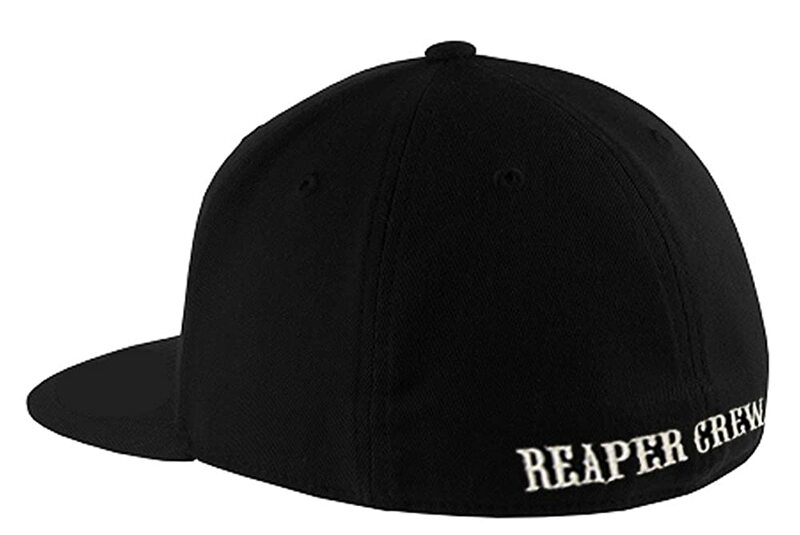 Pick up a cool bikers ball cap and don’t forget to grab a pair of dark tinted biker shades. 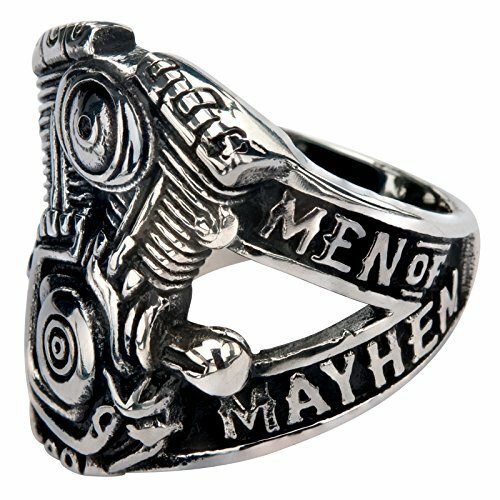 Put it all together with a little bit of the true biker spirit. 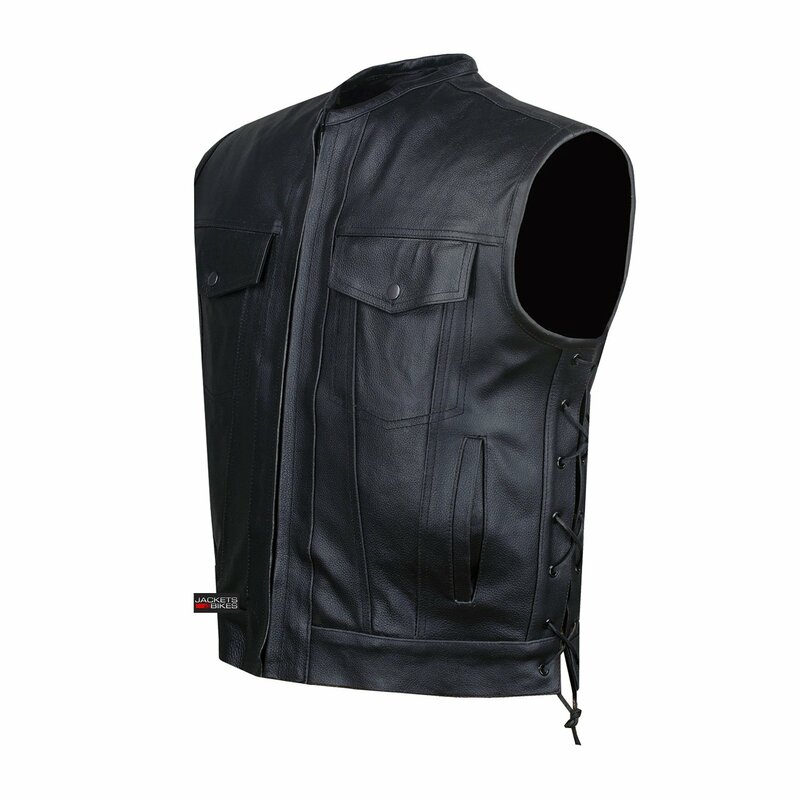 You will have to provide the biker spirit, and we’ll do all we can to help get you ready to hit the road! 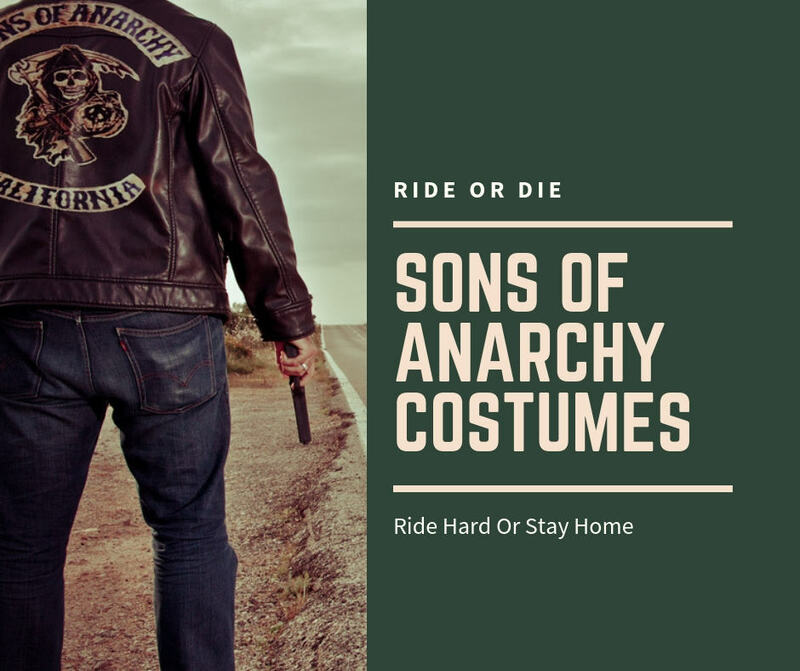 If you’re a fan of the hugely popular Sons of Anarchy TV show, you’re going to have a blast putting together a costume for your party. 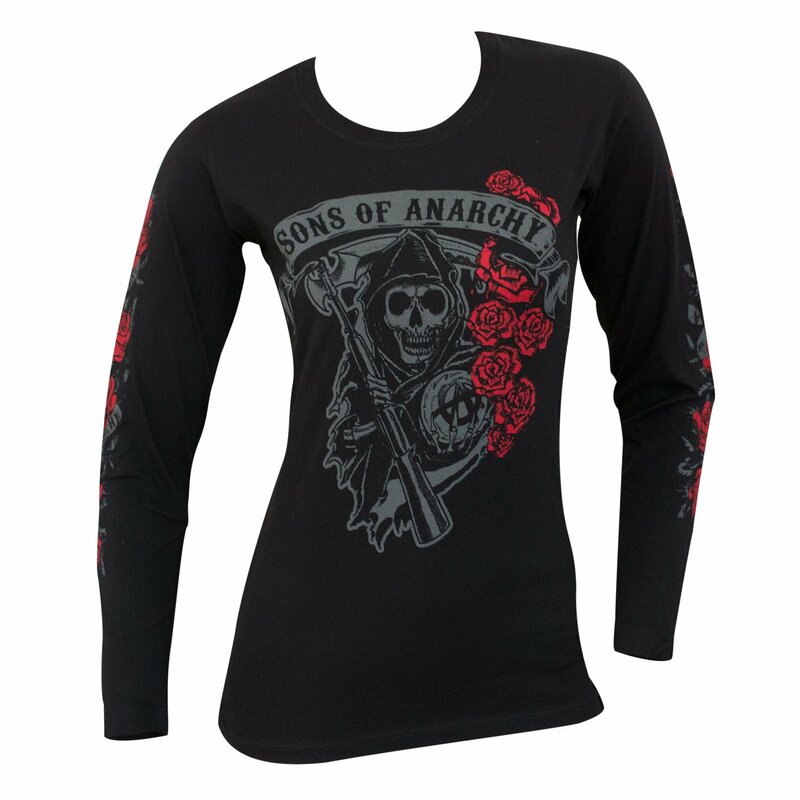 Sons of Anarchy costumes aren’t just perfect for parties or Halloween. 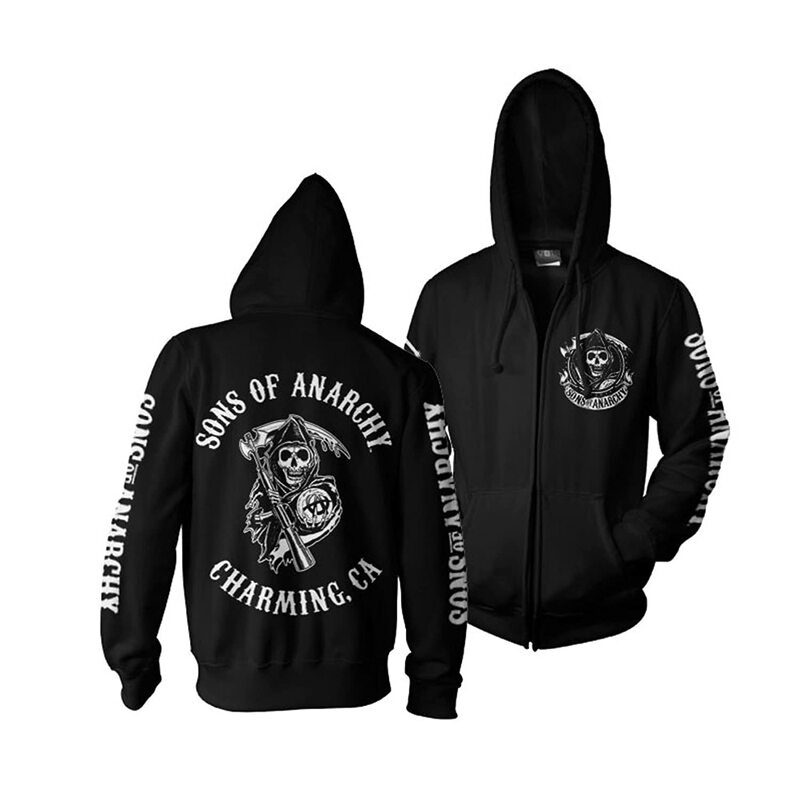 Dress as a member of your favorite Sons of Anarchy cast member for fundraisers, to visit kids (or adults) in the hospital and maybe…just for fun! 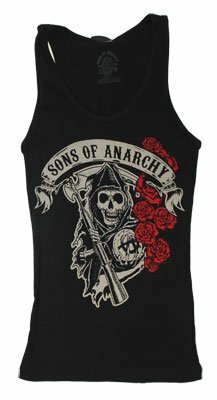 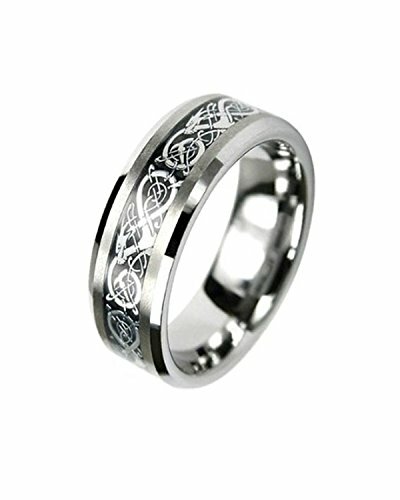 All of the best Sons Of Anarchy costume accessories you will need to rock your biker look are featured below. 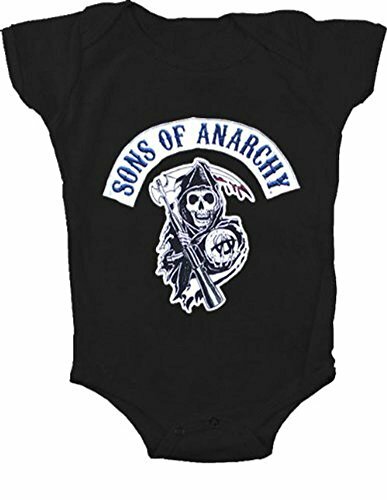 Build your own Sons Of Anarchy costumes for men or for women and don’t forget to build little biker costumes for the little dudes, too! 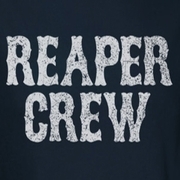 Everybody loves TV show costumes. 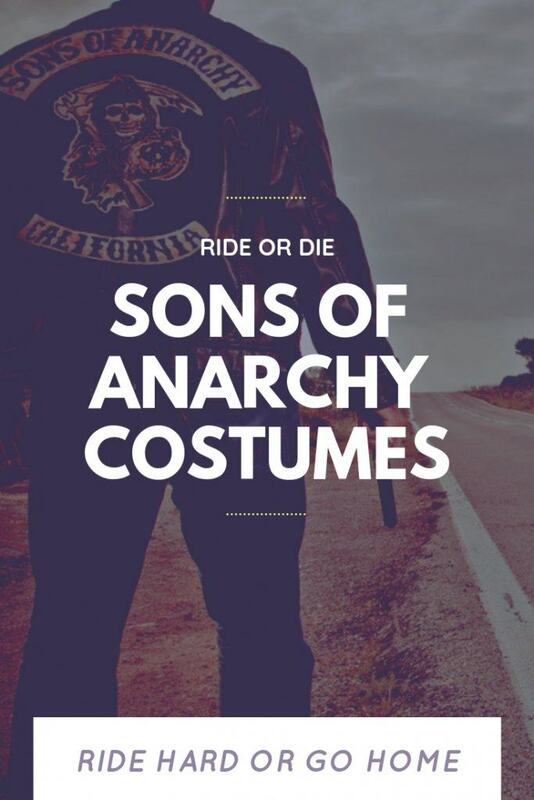 Dress up as one of your favorite characters from the hit Sons of Anarchy TV show with the following costume ideas. 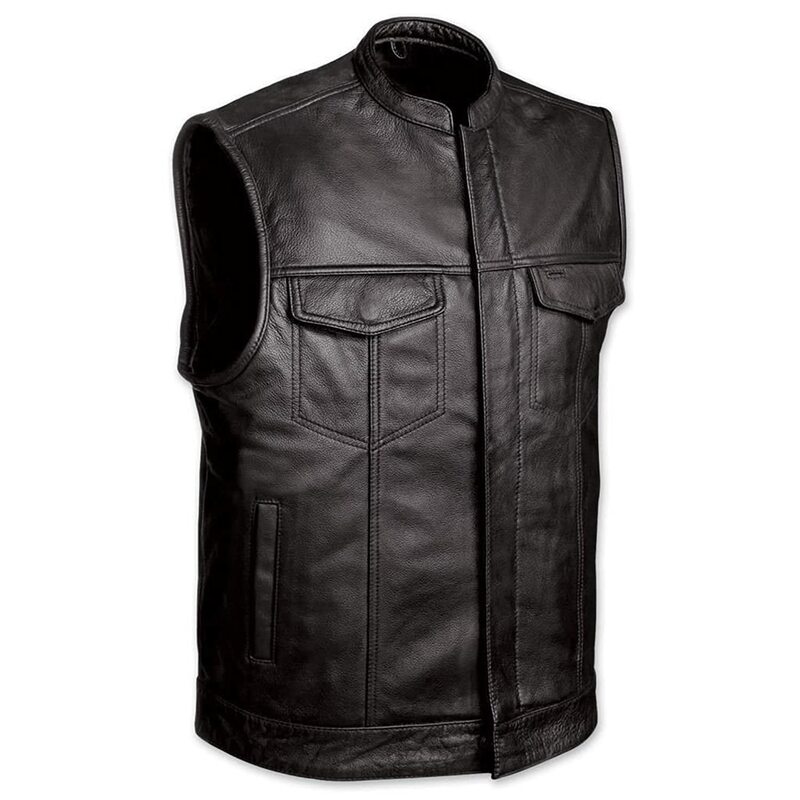 Guys, you can make your own Sons Of Anarchy costumes with a leather vest or a riding jacket. 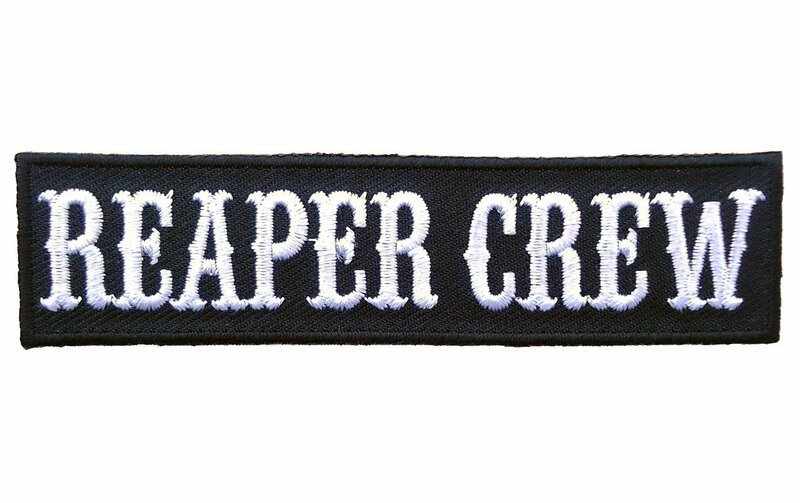 There are several choices below. 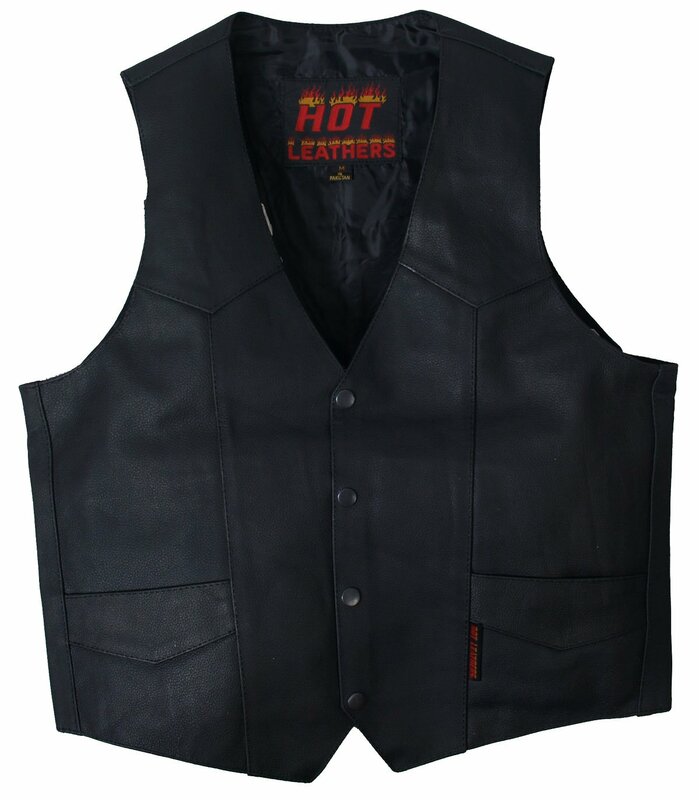 Some of the vest and jackets come in multiple sizes, so click on each image for more details. 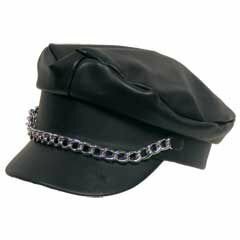 There are also ball caps and plain leather jackets and Sons Of Anarchy patches that you can iron on yourself. 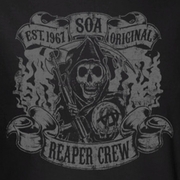 Want to add some SOA style to something you already have? 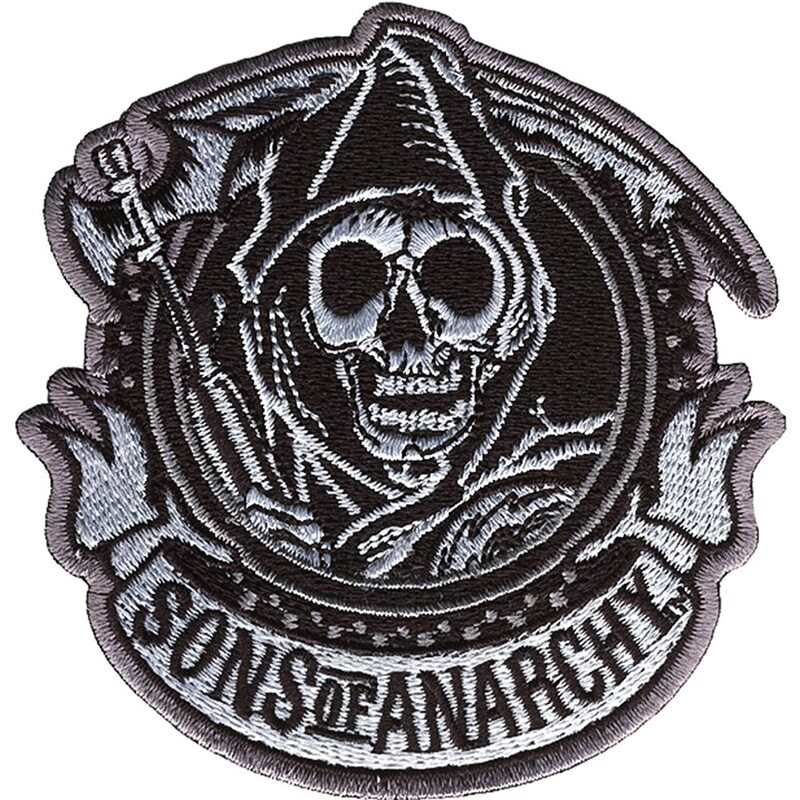 Maybe you have a patch collection. 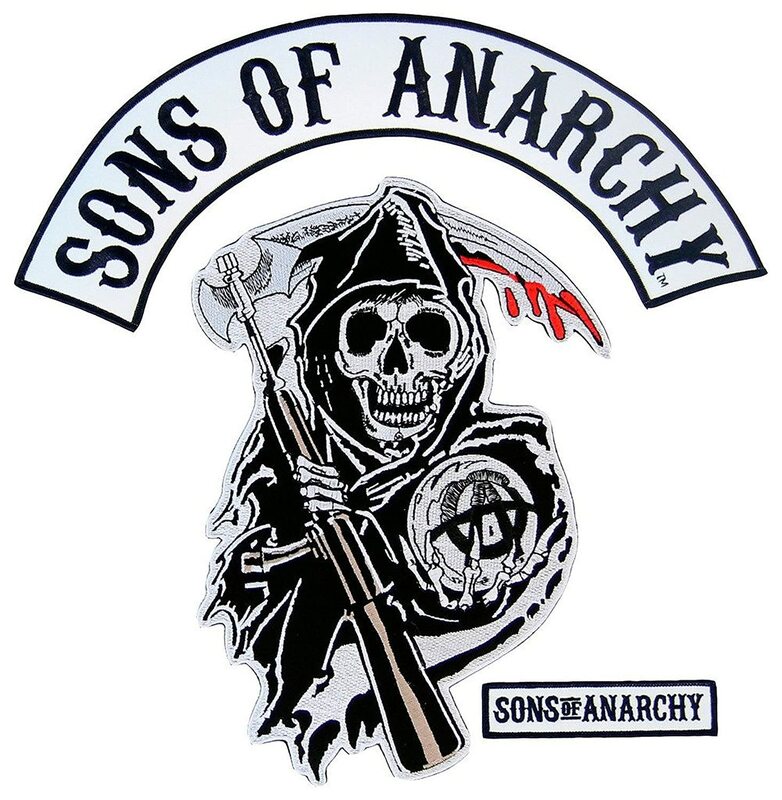 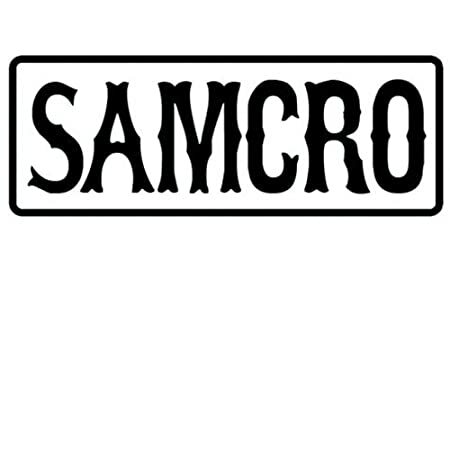 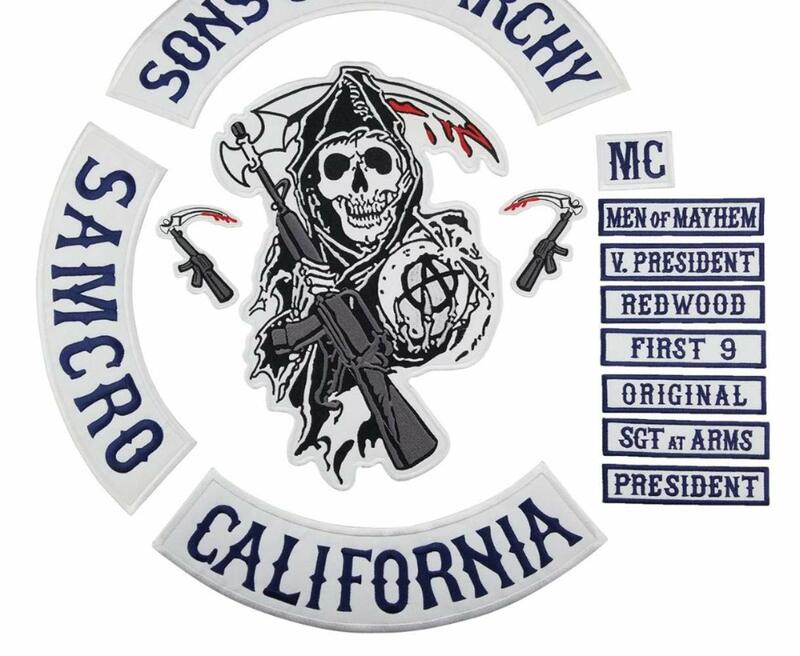 These patches will please any Sons of Anarchy fan. 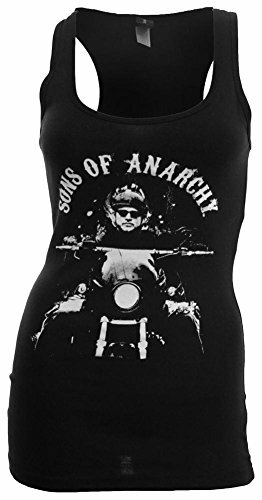 The most popular woman character for Sons Of Anarchy costumes is of course Gemma. 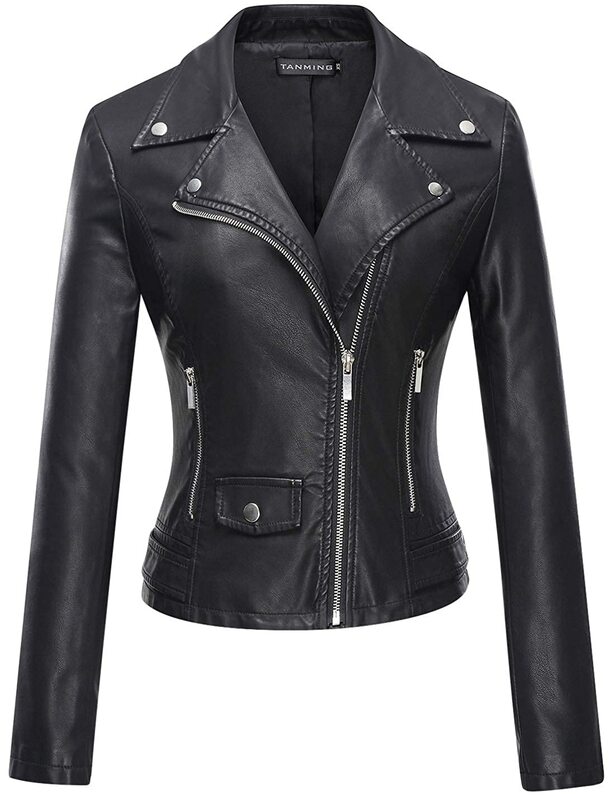 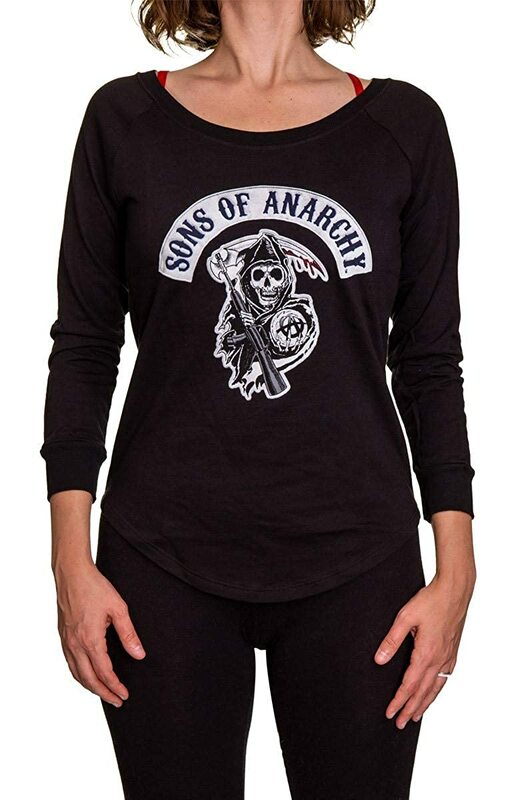 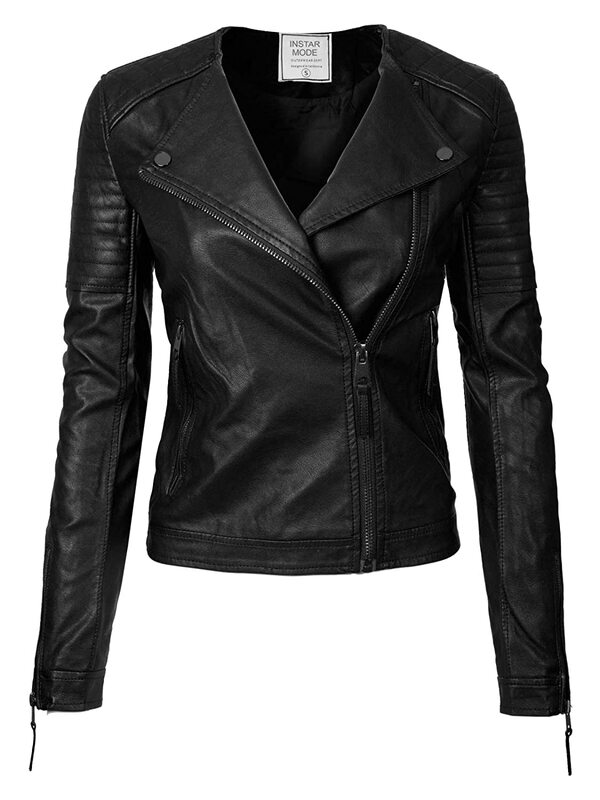 It’s easy to dress up as Gemma Teller Morrow with the following Sons Of Anarchy costumes and accessories for women. 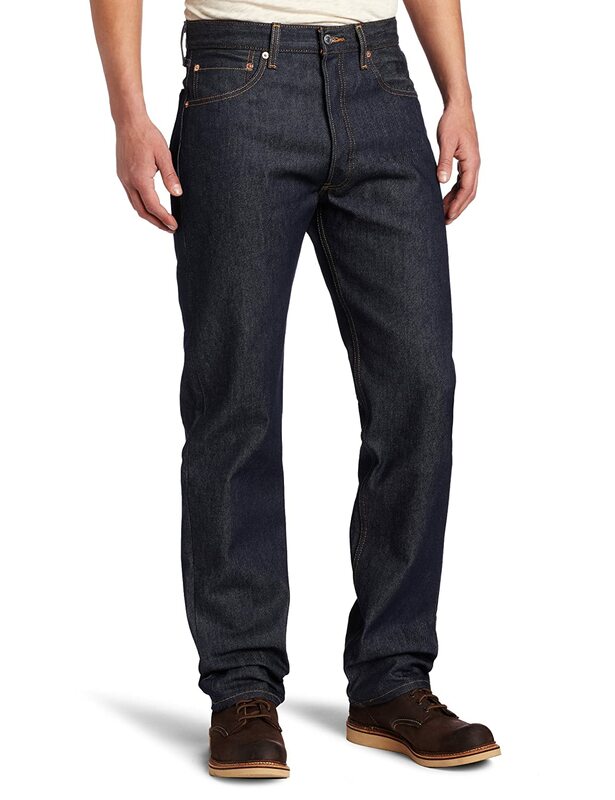 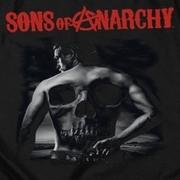 There is one item that really tells the world that you are wearing a Sons of Anarchy costume. 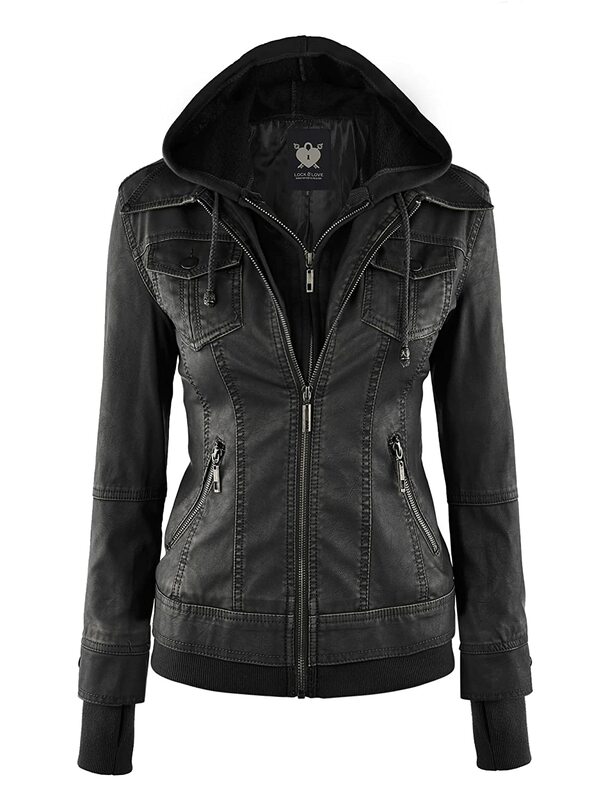 It’s the ladies Sons of Anarchy denim jacket. 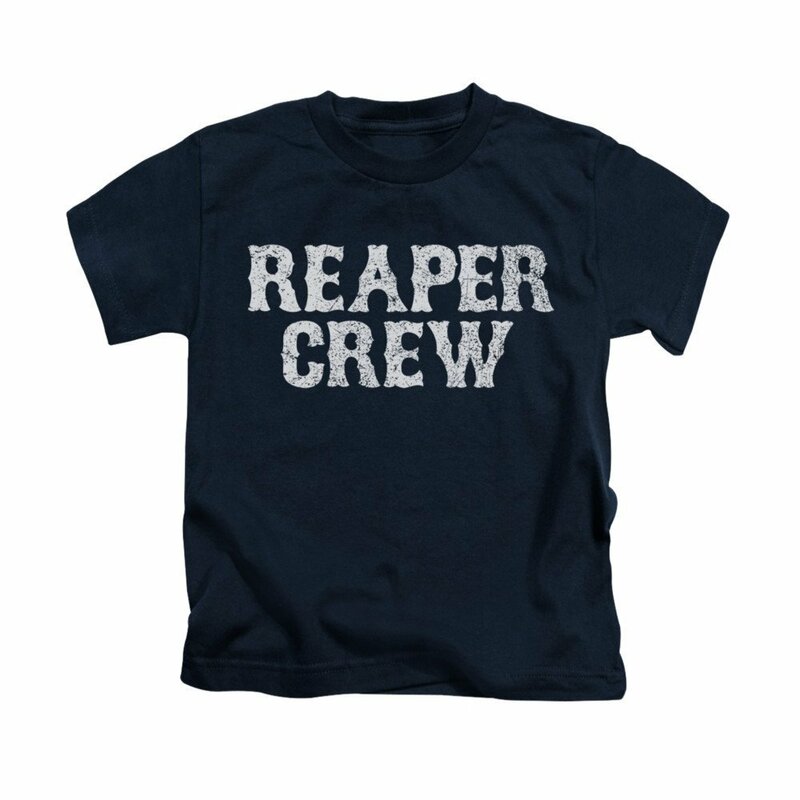 It’s perfect for Halloween and you can get extra mileage out of it by wearing it through out the winter months. 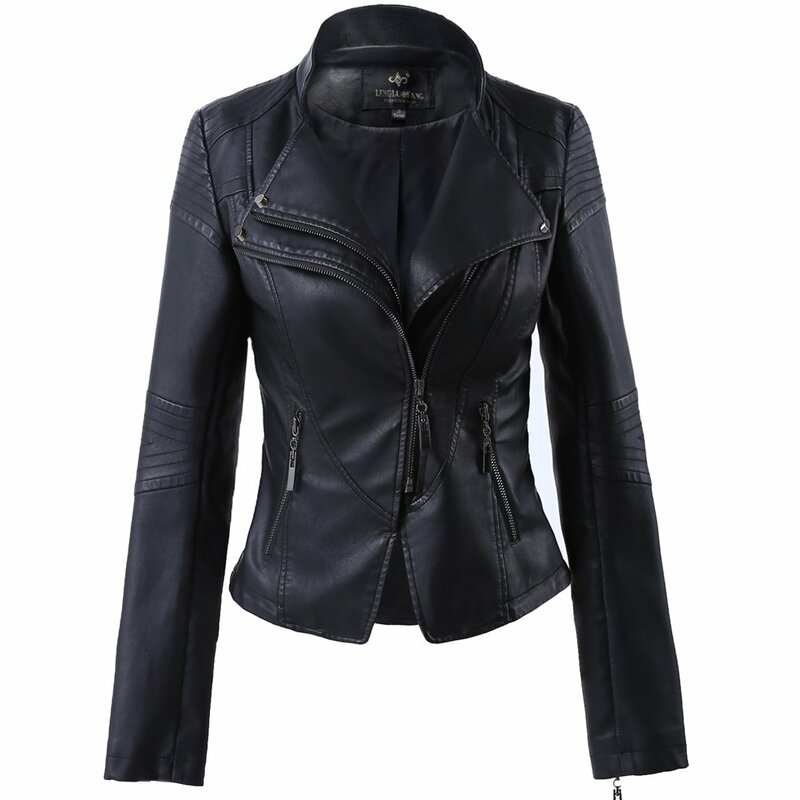 You can find it from the online retailers listed below. 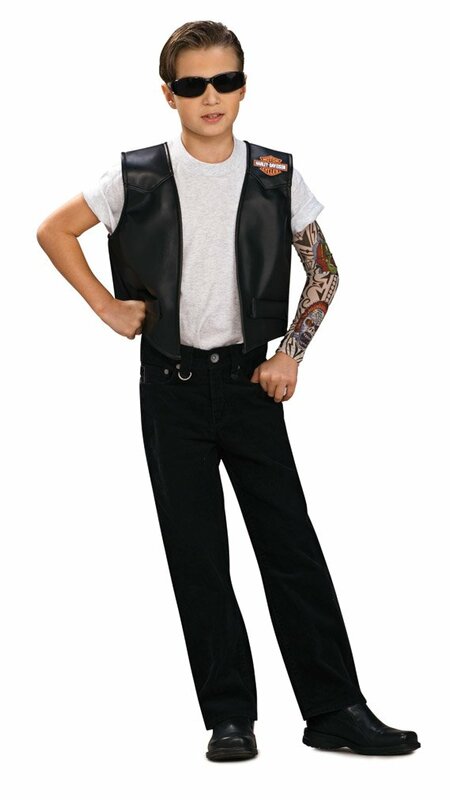 Want some ideas for cool biker costumes in children sizes? 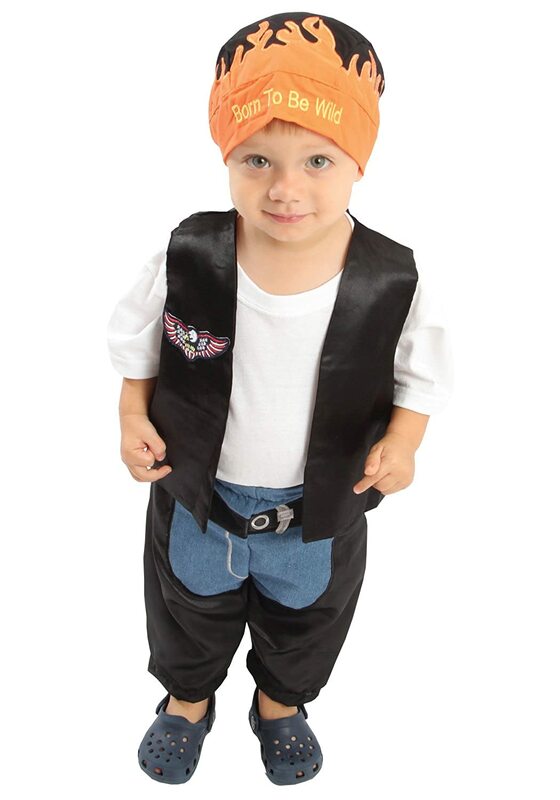 The kids are not left out of this fun costume idea. 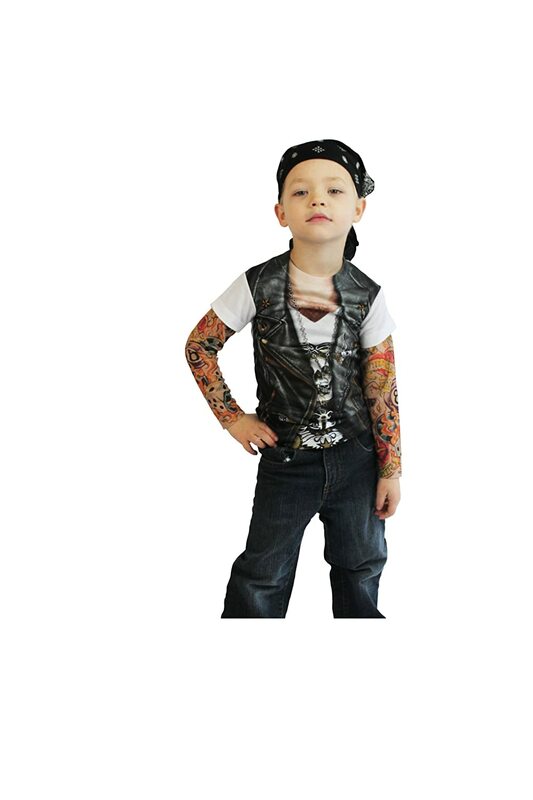 Check out the following costumes that will turn your child into an outlaw biker for Halloween. 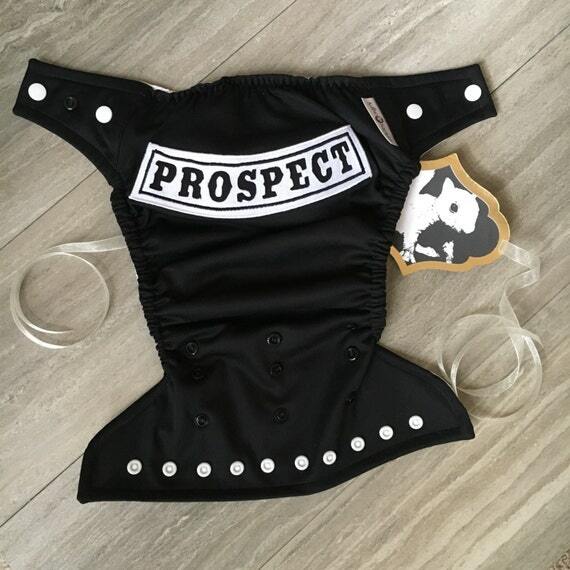 These are the cutest little biker outfits I’ve ever seen! 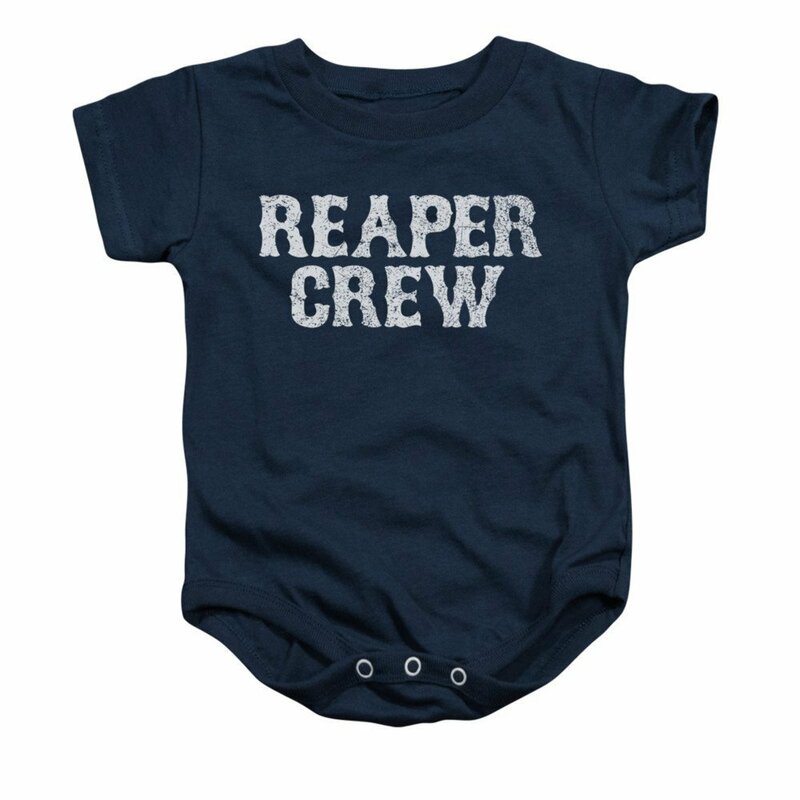 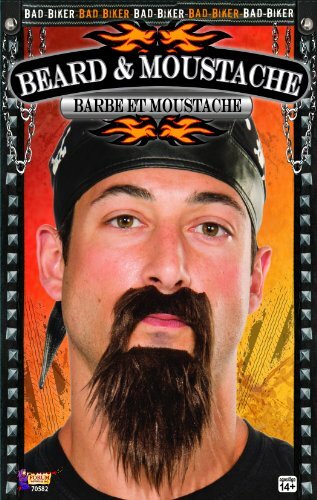 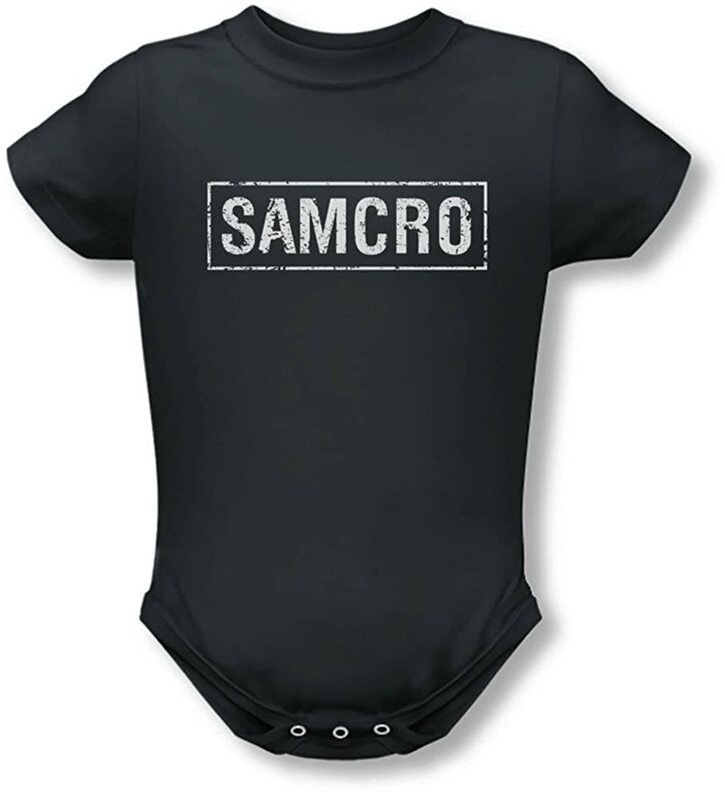 Round out your Sons of Anarchy costume with some great accessories. 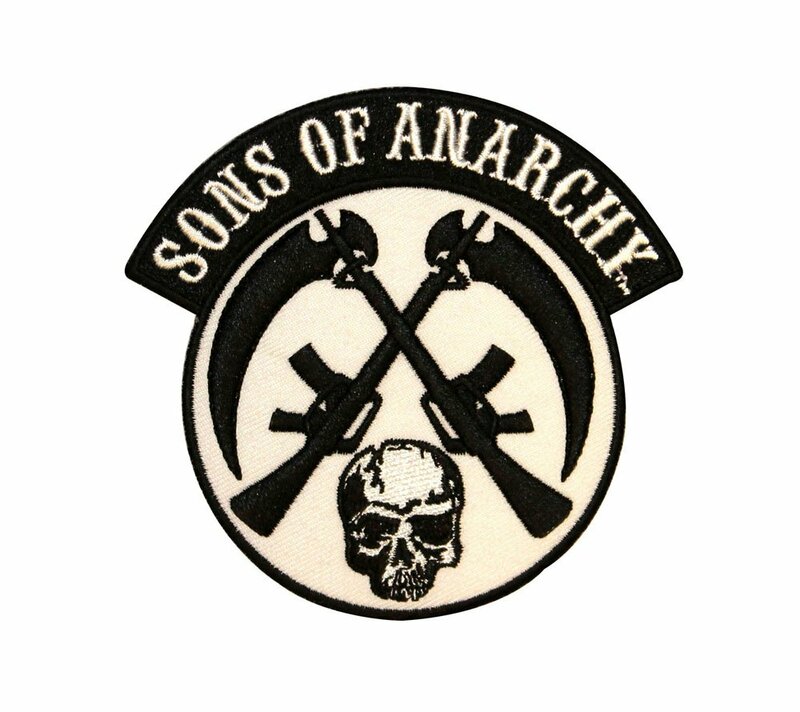 These costume accessories are perfect for trimming out your SOA Halloween costume. 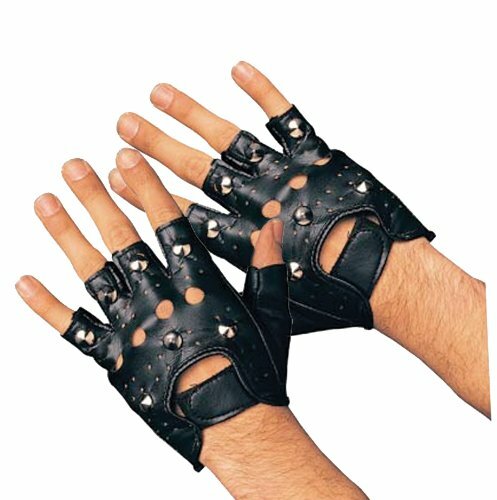 Which of these accessories will be the finishing touches for your costume? 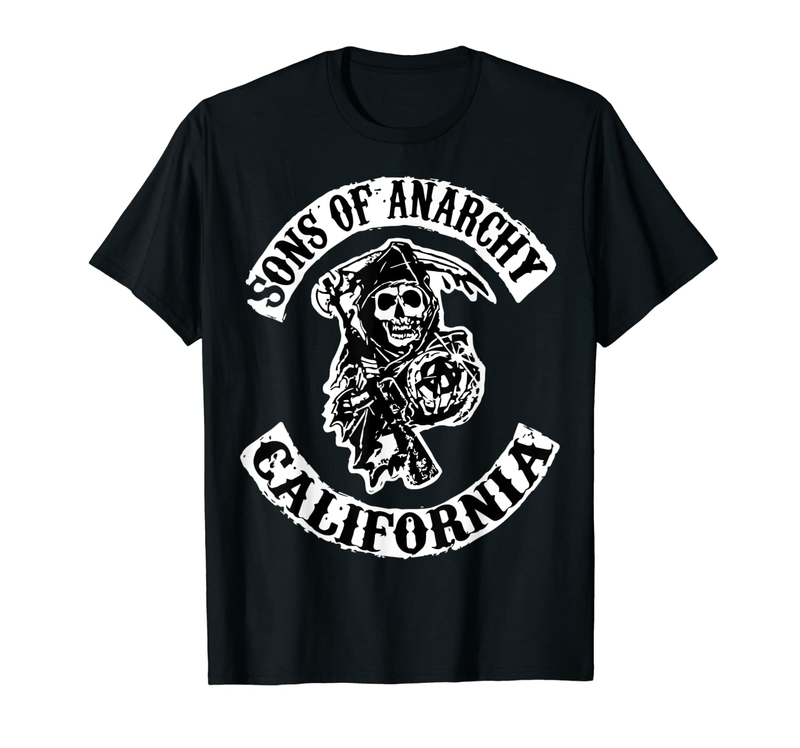 Your Sons Of Anarchy costumes aren’t complete without cool biker t-shirts. 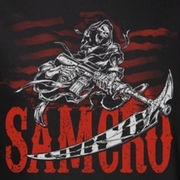 I’ll find more SOA t-shirts for you, but I think these are especially cool, don’t you think? 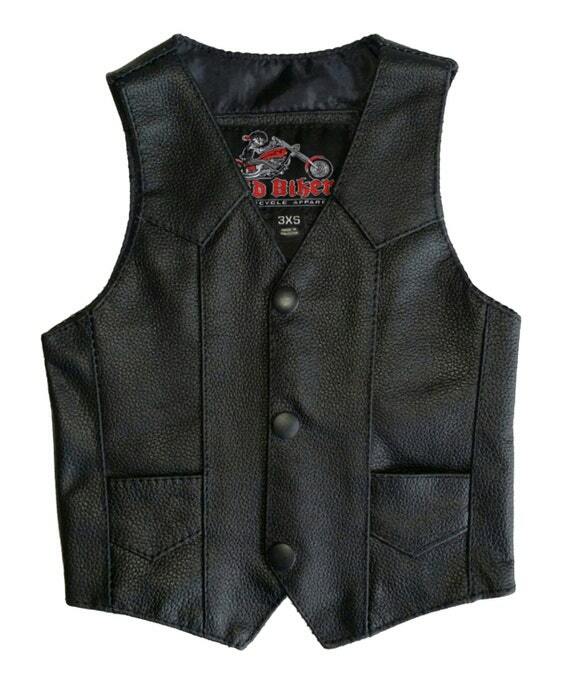 These extremely extreme biker shirts are sure to grab everyone’s attention at the party. 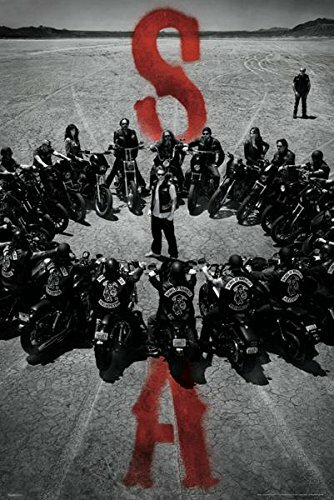 That means you’re getting something that’s not available in stores, so it’s pretty unique. 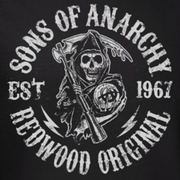 Ten people aren’t going to show up at your Halloween biker party wearing the same t-shirt! 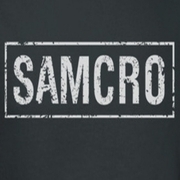 Equally fabulous is that these shirts are available in different styles and colors! 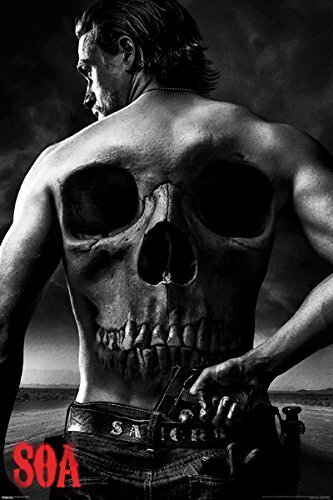 Want to see? 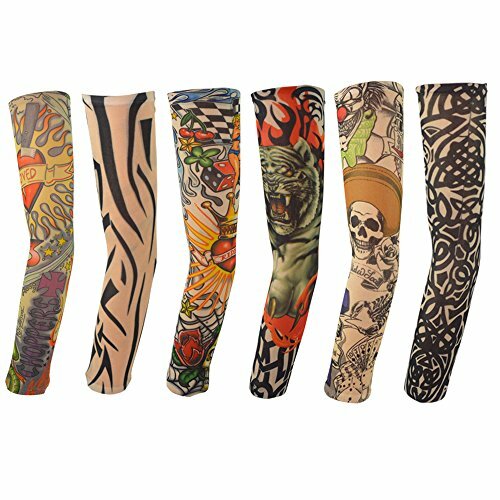 Click on through any of the images to check them out and see the different styles, colors AND sizes you can order. 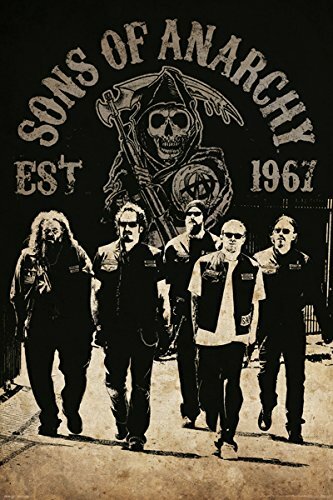 While you’re shopping for your Sons Of Anarchy costumes, pick up an SOA poster for your home or office. 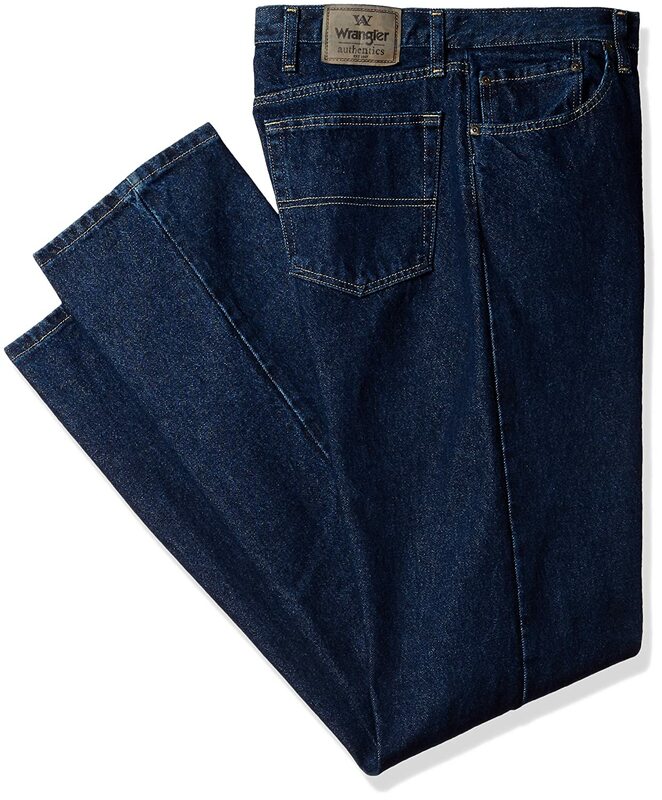 These are really hot, aren’t they?